After a long struggle against their employer and the legal system, workers at Imteks have finally had their steadfast commitment to independent union representation rewarded. Before the victory, the factory workers, most of whom are long-term employees, had few advancement opportunities and were often forced to work overtime by employers to achieve "special order" quotas despite receiving no overtime pay. In response to these conditions, workers affiliated with League member TEKSiF and are now currently negotiating a collective bargaining agreement. The employer had previously fired several workers, yet when TEKSiF pressured the factory buyer brand, Adidas, to step in and ensure that the workers were treated fairly, the factory management was forced to offer the workers back their jobs. Workers continued to work tirelessly to gain recognition for their union affiliation efforts from Imteks management. In the end, in addition to workers' commitment to each other to maintain unity in the face of employer backlash, the most effective mechanism for change was workers' pressure directly on the factory buyer brand, Adidas. One worker even says now that the union has been officially recognized, he was finally able to turn down what had previously been mandatory overtime to spend time with his family, and there was no retaliation because of the strength of their union. 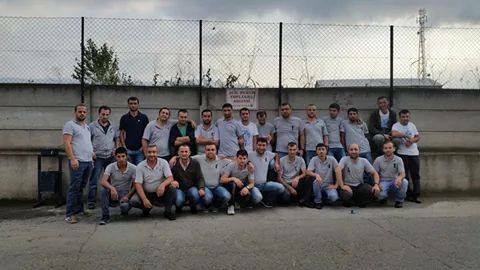 Congratulations to Imteks TEKSiF union and the around 900 Imteks workers that are now negotiating a worker-representative collective bargaining agreement! Dayanışma!